Amara Royce: Where in the world is Amara today? Ella Quinn's blog! Where in the world is Amara today? Ella Quinn's blog! 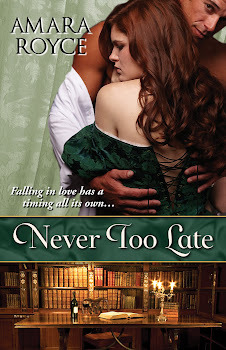 As I continue to celebrate the release of NEVER TOO LATE, I'm at Ella Quinn's blog today for an interview! Ella is such a great part of the romance writing community. She's also a fellow eKensington author, and her own debut, THE SEDUCTION OF LADY PHOEBE, will be released in September! Stop by and find out my writing journey started! There's also a snippet from NTL and a giveaway! So Marion Browning-Baker or “Ella Quinn” as you call yourself today - you can run from your criminal history but you cannot hide. You DID NOT go to the Virgin Islands “to retire, write romance books, and live in paradise” despite what you try to tell your readership. And there was certainly nothing “fortuitous” about this move to the tax hide-out Virgin Islands either as you claim in your author interviews. You fled the country of Germany in less than 60 days after they charged you with federal tax evasion where you evaded taxes for no less than 15 years as a lawyer operating a business on German soil. How smart was that when you bragged about it to one of your clients which you then ripped off for over $50,000 in legal fees? Now you have a totally new identity. There is no lawyer reference in your bio anywhere despite that you spent most of your adult life as a lawyer. In fact, you even removed your law degree from Campbell University in NC and are now calling it a master’s degree in “Political Science and Government” on LinkedIn. But the reality is that you were a totally unethical lawyer who stole money from EVERY ONE of your military clients in Europe from 1995 (which was after the US Army kicked you out as a JAG lawyer) and until your Georgia State Bar disbarment on April 15, 2013 which is shown on their website. As far as we are concerned, you have an active network now of at least 75 ex-clients and you OWE THEM a lot of money. We have legal counsel and there is a class-action lawsuit in the making. So “Ella” or whatever person you are playing today, do not believe that this is over and we will see you in court as who you really are: disbarred lawyer, tax fugitive, and criminal Marion Browning-Baker.